Sergio Valdés Silva (11 May 1933 – 2 April 2019)  was a Chilean football defender who played for Chile in the 1962 FIFA World Cup. He also played for Club Deportivo Universidad Católica. 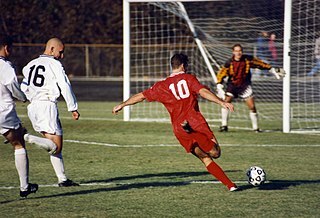 The Chile men's national football team(Selección masculina de fútbol de Chile) represents Chile in major international football competitions and is controlled by the Federación de Fútbol de Chile which was established in 1895. The team is commonly referred to as La Roja. They have appeared in nine World Cup tournaments and were hosts of the 1962 FIFA World Cup where they finished in third place, the highest position the country has ever achieved in the World Cup. 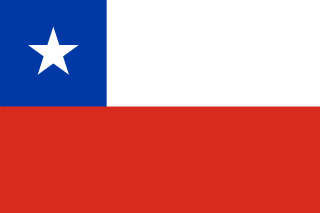 Since the mid to late 1960s, the Elo ratings ranks Chile among the 10 strongest football teams in the world. 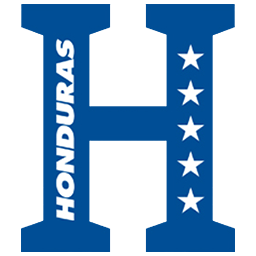 The Honduras national football team nicknamed Los Catrachos, La Bicolor or La H, is governed by the Federación Nacional Autónoma de Fútbol de Honduras (FENAFUTH). To date, the team has qualified three times for the FIFA World Cup, in 1982, 2010 and 2014. Jorge Luis Dely Valdés is a Panamanian former footballer who played as a forward. He is a twin brother of Julio Dely Valdés and younger brother of Armando Dely Valdés. Serjio Roberto Livingstone Pohlhammer, later simply known as Sergio Livingstone, was a Chilean goalkeeper, who later became a well regarded journalist. He was nicknamed "El Sapo" for his typical posture in the goal mouth. From 1938–59 he played primarily for CD Universidad Católica in Santiago. With Chile he took part in seven Copa América and one FIFA World Cup. 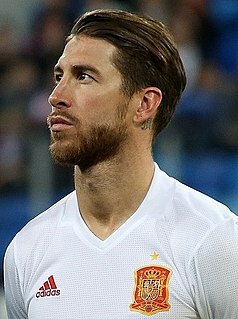 Sergio Ramos García is a Spanish professional footballer who plays for and captains both Real Madrid and the Spain national team as a centre back. He can also play as a right back. Estadio El Teniente, also known as Estadio El Teniente-Codelco for sponsorship reasons, is a multi-purpose stadium in Rancagua, Chile. It is currently used mostly for football matches. The stadium actually holds approximately 13,000 people and was built in 1945 with the name Braden Copper Company Stadium (Estadio Braden Copper Co.). The stadium is the home stadium for O'Higgins, the team of the city of Rancagua. Coquimbo Unido, is a Chilean football club based in the city of Coquimbo. The club was founded August 30, 1958 and plays in the Chilean Primera Division. Their home games are played at the Estadio Municipal Francisco Sánchez Rumoroso, which has a capacity of approximately 18,750 seats. Deportes Puerto Montt is a Chilean football club based in the city of Puerto Montt, Los Lagos Region. The club was founded May 6, 1983 and plays in the second division of Chilean football, the Primera B.
Julio César Dely Valdés is a Panamanian former footballer who played as a striker. He is a twin brother of Jorge Dely Valdés and younger brother of Armando Dely Valdés. Jaime Andrés Valdés Zapata is a Chilean footballer that currently plays for Primera División club Colo-Colo. He usually plays as midfielder. Valdés was member of his national under-20 national team in the 2001 FIFA World Youth Championship and has represented three times the senior team between 2001 and 2010. Fernando Riera Bauzá was a Chilean professional football player and manager, patriarch of Chilean football. Mario Sergio Ortiz Vallejos was a Chilean footballer. Raúl Mario Ruidíaz Misitich is a Peruvian footballer who currently plays for Seattle Sounders FC and the Peru national team, as a striker. Luis Antonio Marín Barahona is a Chilean football goalkeeper who plays for Chilean Primera División club Deportes Temuco. Sergio Raúl Navarro Rodríguez is a Chilean former footballer. The 1973 play-off for a place in the 1974 FIFA World Cup in West Germany, between the national football teams of the Soviet Union and Chile, is notable for the political circumstances that marked the second leg of the play-off on 21 November 1973. It was scheduled to take place in the Estadio Nacional de Chile in Santiago, the Chilean capital. There had been a coup d'état in Chile two months before, immediately after which people deemed undesirable to the new regime of Augusto Pinochet had been held captive and executed in the stadium. The Soviet Union asked FIFA to find a different venue in Chile; when agreement could not be reached, the Soviet team did not take the field and was disqualified from the tournament, giving the Chilean team a victory by walkover. However, the match was still organised by FIFA as normal, but without any away team present. Chile scored 1–0 in an empty goal, and then the referee blew the game off. 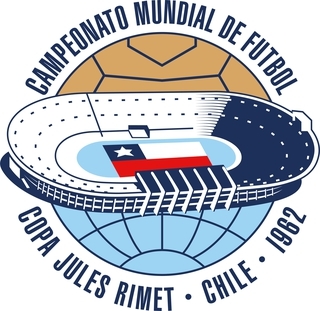 Chile advanced to the 1974 World Cup, where they were eliminated in the first round. Néstor Gonçalves Martinicorena was a Uruguayan footballer who played as a midfielder for Uruguay in the 1962 and 1966 FIFA World Cups. He mainly played for C.A. Peñarol and is considered to have been one of the best South American midfielders of the 1960s. The Uruguay–Argentina–Chile–Paraguay 2030 FIFA World Cup bid is an intended joint bid to host the 2030 FIFA World Cup by Uruguay, Argentina, Paraguay and Chile. The intended bid had initially been shared between only Uruguay and Argentina. The intended bid followed an earlier web movement claiming that FIFA should give Uruguay hosting rights for the 100th anniversary of the first World Cup, which was held in Uruguay. Argentina has interest as their national team played the final, which resulted in a defeat against the host team. ↑ "Falleció Sergio Valdés: exdefensor que consiguió el tercer lugar en el Mundial de 1962". BioBioChile - La Red de Prensa Más Grande de Chile. 2 April 2019. ↑ "1982 FIFA World Cup Chile".